Branding can be boiled down to one word, experience. What better way to provide an authentic experience for your audience than through photos and video? Yeah, I know you're probably thinking well I already have tons of apps that allow me to provide video and photos - why would I want to use Snapchat? Well, I felt the same way...that is until I gave it a try. Like many apps, Snapchat offers the opportunity to share photo, video, and text, but with one unique feature. Snapchat allows you to set a timer on how long your photo (snap) or video (story) will be available. So cool! 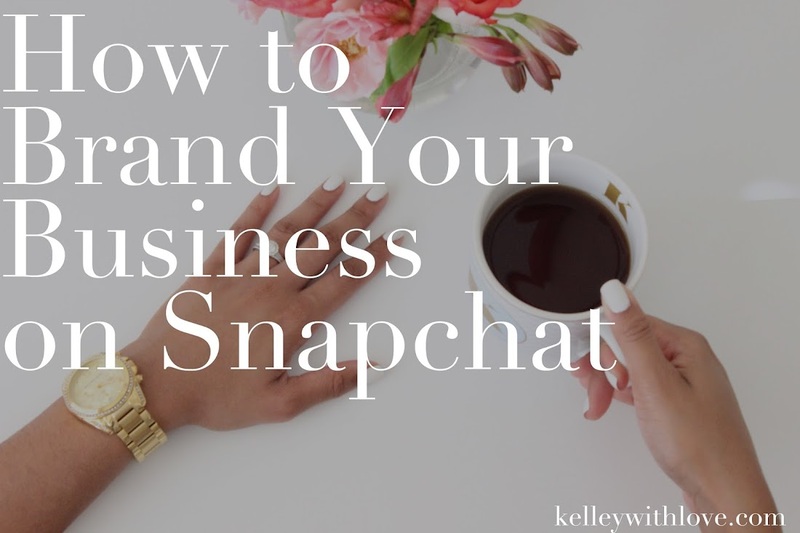 You want to know how to use Snapchat to brand your business? It's all about bringing your brand's story to life. Check out a few easy to do strategies below. Snapchat is a really fun way to provide little peeks into your day to day activities. I'm not saying make your life a reality tv show(unless you want to), but it could be fun to share little parts of your day with your audience in order for them to see what your life is really like. You know those products of yours that your audience loves? Well show you them how they're made! It's always fun to see how a concept is created and turned into reality. If you're not really into blogging or writing like you're talking to a friend, why not make a video and actually talk to your social media friends. It's likely your audience views you as a friend in their heads so why not share something inspirational, humorous, or passionate with them? This is a fun way to give clients a glimpse into your personality and who you really are. A photo is a frozen moment, but Snapchat allows for you to unfreeze that moment even if only for a few seconds. Give your audience the photo, but in real time(video). Which of these strategies do you plan to use to brand your business on Snapchat? People keep telling me I should make my shop apart of the SnapChat community and I have been holding off! Thanks for these tips I may just join now! I had Snapchat but deleted it because I didn't see the point. However, I might add it back after my internal branding makeover. :) I love these tips.